Krissa Barnette has a secret. When she’s upset, she can hear what other people are thinking. And when she’s overwhelmed, things explode. A move to Clearwater gives her the chance to reinvent herself, but a fresh start is further away than she realizes. 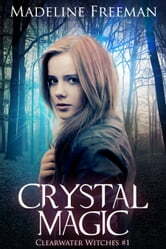 Her abilities magnify—making her a target for Crystal Jamison and the town’s circle of witches. Even with new friends at her side, Krissa can’t ignore the witches’ magnetic pull—especially when a strange illness rips through the town. If Krissa doesn’t push her fears aside, she could lose more than control. But will embracing her magic be the end of the life she always wanted? THE BOOK WAS REALLY FUN AND INTERESTING. THOUGH TOWARDS THE END IT WAS GETTING REALLY CONFUSING. I RECOMMEND THIS THOUGH. This book was an adventure in itself. It kept me captivated and I will definetly treasure it in my heart! 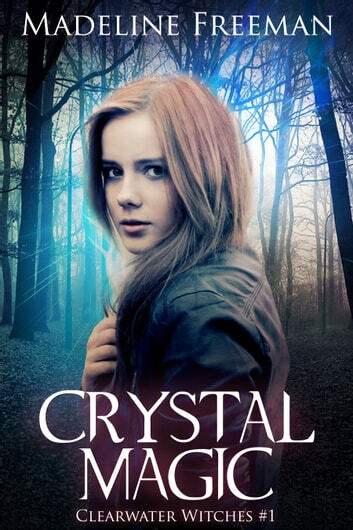 It was a really good book about how Kressa finds out how she is a witch and the adventure she to do with Crystal. I couldn't stop reading. Loved it. But that ending kind of had me questioning everything. Maybe that was the point and all, but how can one tiny thing have such a huge impact on the future? I don't get it. There are so many questions left unanswered and the ending felt really rushed. I loved the book but that ending kind of turned me off from reading the next one. I'll still read it but I kind of would have liked to see how they would have Jodi and what would have occurred with that crystal. And Owen... Damn why you gotta do that? I'm so confused.